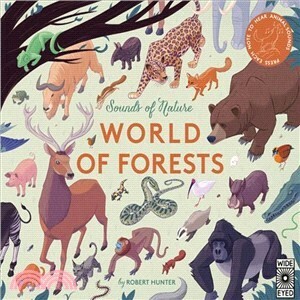 Explore ten diverse habitats—from the Amazon Rainforest, to RedWood National Park to the New Forest—and listen to animals in the wild with this extraordinary sound book. Simply press the page to hear the exquisite sounds of animals around the world, from the pandas of the bamboo forest of China to the bald eagles of Tongass National Park in Alaska. A stunning interactive book for young nature lovers.